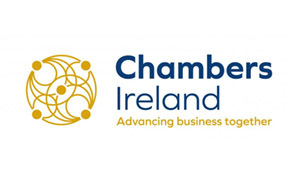 Chambers Ireland today (14 November 2018) welcomes the approval of the Withdrawal Agreement text by the UK Cabinet. “We welcome today’s approval of the Withdrawal Agreement text by the UK Cabinet, recognizing the huge effort by the respective negotiating teams. This is an important next step to the conclusion of the withdrawal agreement and business communities throughout Europe will welcome this progress however it is imperative that the negotiated text is approved as a matter of urgency.